We are delighted to announce our gig at Oldmeldrum Town Hall on Saturday 14th September. 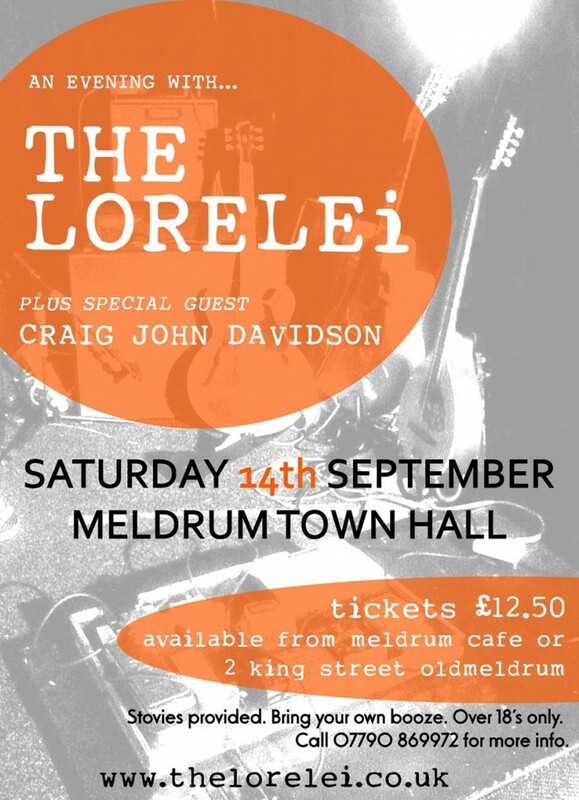 This will be a rare intimate evening with The Lorelei and our very special guest Craig John Davidson. Tickets for this are very limited so get in quickly. On the evening you can bring your own booze and stovies will be provide between bands. Get in quick, it promises to be a great night.